VE's Fantastical Nonsense: Why Do I Keep Striking Out? Why Do I Keep Striking Out? Yes, Valentines Day is over. Again. I’m still reeling from the aftermath though. Now you would think a nice practical caring gift would be better than a bunch of murdered flowers drowning in a vase. I mean they're just waiting to dry up; it’s only a matter of time. Now my first attempt at a practical valentines day just didn’t seem to go over in the way I had hoped. Oh come on now. 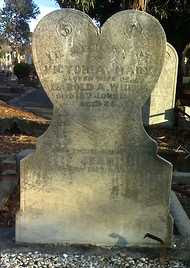 What says I love you more than a heart shape tombstone anyway? I got a great deal on an antique one and even the plot of land. The cemeteries are in to recycling too. As soon as they think nobody is ever going to visit a plot again, they cremate the body and resell the plot. What a bargain. How could she not love this? It’ll last her forever (well…until they think nobody is coming to visit her anymore). My third attempt was both practical and convenient. She was always complaining of having to go clear back into the house to pee every time she was really into the backyard gardening. That meant taking off the dirt filled boots. It was perfect tucked back in the corner. Ok, the green didn’t exactly match the décor but as soon as the ivy overtook the entire backyard because I slept in the lounger all spring and summer you could hardly notice it there. Now the fourth year…ok, perhaps they were just a little too macho; but she said she wanted better sound quality for her step aerobic DVDs. 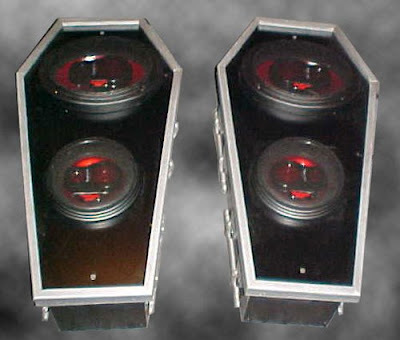 Who wouldn’t want coffin speakers? These things can wail! The fifth and final year, just before she divorced me, I thought I’d try an event instead. You know, quality entertainment for just the two of us. I don’t understand what the big deal was. This was cutting edge sports! 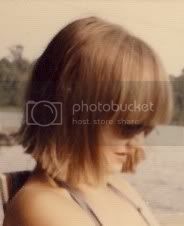 Ok…the years of dating…then the remarriage…and I decided I’d better start small. And again, for the sixth straight time it wasn’t received with the kind of love and excitement I was going for. I think next year I’ll definitely look into a filing cabinet…won’t she be thrilled?!!! You romantic devil you... how could wifey not appreciate such thoughtful gifts? Well these certainly beat the Jeep Wrangler a friends' husband bought her this Valentines. It's true...he did. I think my best V-day present from Peter was last years...he bought me a flat screen TV for the kitchen. I love it because I can watch TV while I cook and bake. 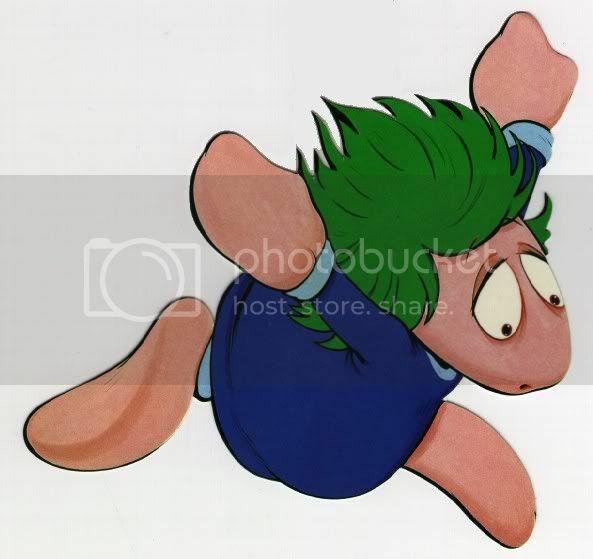 hey, i still remember the year i got a VD card which made pronounced reference to dog genitalia. i think any one of your gifts would have been better. You should have just gone with a vacuum. Wow, that woman is hard to please. I don't know if you're aware of this, but the vacuum cleaner/mop two-shot acts like a shot of lady viagra. First, in places in Europe you rent burial plots, you don't buy them. They come in ten year rental increments. When no one pays your rent anymore, they dig you up and dispose of you in the mulch pile. Second, I can't understand why you are having problems. These gifts are great. You're just choosing the wrong women. An active imagination is impeding your success. In your case, thinking outside the box is not a good idea. Next year, keep it simple and stay with the box – a box of chocolates. The last one is good, but toilet bowl cleaner says so much more. And if you really want to score some points, toss in a box of tampons. jaime - I know, I know. I sure beats that silly Hawaiian vacation I saw. I mean really...two weeks and then its over with! jacki - Ha! Nothing says I love you like a jeep wrangler too! Oh and I had my fridge converted to a TV screen years ago. Good for dieting too...just play some slasher movie on it and nobody will eat! lime - That's so caring! Plus, VD is not something you want on valentines day you know. VE is much more caring...and you get practical gifts! sean - I've heard that rumor. I'm afraid she'd try and make me use it though. That will not stand! jeff - You are the last Valentino! So I guess the bar really drops once a girlfriend becomes a wife and it cost money to leave, huh? Funny! But did you get her a card VE? I'm sure a card would have made a world of difference for your wifey poo. She would have loved ALL of the gifts had a heartfelt card been attached. Nothing says "won't you be mine?" 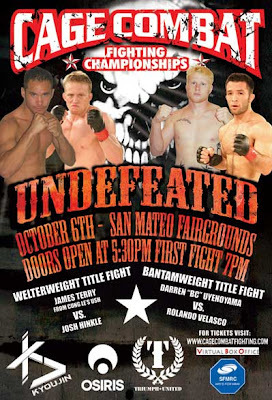 like a good cage match! Dang, I just don't understand it...so on target, so direct. Thanks for the smile. My husband actually did actually get me a Dyson vaccuum cleaner for a present. I loved it! The cage match? Not so much. You are a true romantic mate, no doubts there! Why did the porta-potty not go over so well? I can't really understand that. I tagged you for the Honest Scrap award (you can see the details in my post today). One VD Trooper Bob bought Nurse Meme a new nurses uniform. Nurse Meme hit him with a clothes iron. That had just been unpluged. I think I see the reason for the divorce. Try not to let that happen again, VE! Join some kind of support group that can help you with the gifts or maybe run a blog contest for your readers to design the best gift ever! I'm all for the first one. Nothing says "I love you" more than that. kan - I don't remember "cards, candy, flowers or chick flicks" in my vows. I just remember "to have and to hold"
quirky - I got her a card...it was even the Ace of Spades. You can't trump the ace of spades card! elizabeth - Bold of him! I salute him! sarah - I've been tagged for that once before and was too lazy to react. But perhaps it's time to chew up and destroy that meme too! I'll stop by and take a look. gladys - I've learned about that iron trick before. That is why I always wear three layers of bubble wrap around my head now...just in case. reforminggeek - I can only imagine what you guys would come up with if I gave you free creative reign over that idea. I'll think about it though, it might be very entertaining. I don't remember "cards, candy, flowers or chick flicks" in my vows. I just remember "to have and to hold"
Must of been staring at that Bride's Maid during that part. It was said subliminally behind the word "honor." Since I do all the cooking, cleaning, laundry and dishes, I was the recipient of the Valentine's presentry this year. tile grout and a porta potty?? Hmmmm. Did you let her do the facial waxing for you at least? I waxed my husband's back once for him...it was great fun. He screamed like a girl. My stepbrother and his wife went to Walgreens, picked out a card for each other, read it, and put it back on the shelf!! nursemyra - They are sweet, aren't they? kurt - I hope you got something very practical! VE we needed that outhouse this weekend for our valentine's getaway. Someone in my marriage has a problem with not flooding bathrooms when doing's one's business. 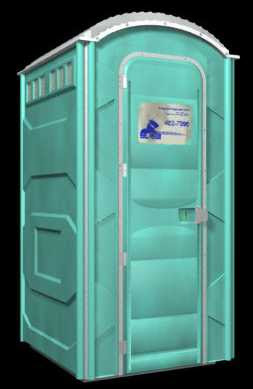 An outhouse would have been the perfect gift, especially a backpack portable port-a-potty. I know some local "Trunk Thumpers" I'd like to bury in one of those "coffin speakers"! I still like Mimes...they're quiet! uncivil - But I'm sure they're playing your 'favorite' song!!! Who wouldn't love a filing cabinet. You can feep any sorts of files in them! Ok, ok, forget the last ten. Boy, these women just don't know a good thing when they have it. I woulda swooned. Yep, nothing says I love you like wish you were six feet under. Hey, at least you never gave a vacuum. That's pretty good. janna - How'd you sneak in there after uncivil? Those are perfect gifts. I should have consulted you before valentines Day! janna - Those are even better. Elmer's glue is delicous on sandwhiches and has less calories then mayonaise and it really sticks to the ribs! nanny goats - Swooning?! Careful, this is a G rated blog ya know! mj - Does a steam cleaner count? you can always pretending to forget it was Valentines, or pretend you have to go out of town for the day? I would have loved all those gifts! Especially the port-a-pot. Her loss dude. bee - I knew I could count on you to see reason! You should really write an advice column instead of a blog...just think of how you can affect any number of marriages.. If I were you (and thank the Gods I'm NOT), I'd find the largest filing cabinet possible. Cause you're gonna end up inside it.